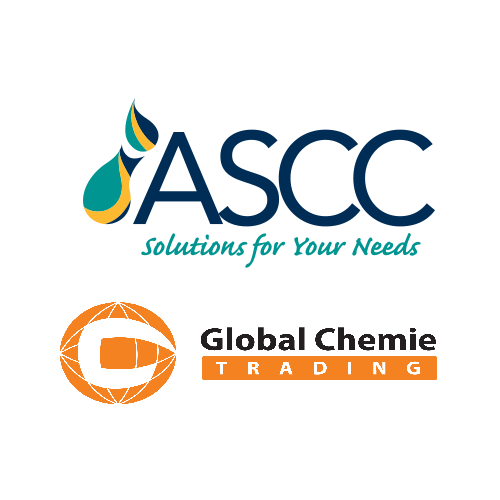 ASCC Enterprises Pte Limited, the parent company for the ASCC Group of companies is pleased to announce they have signed an agreement to purchase 75% of shares in the Thailand company, Global Chemie Trading Company Ltd (GCT). The company, whose headquarters are in Bangkok, Thailand are a manufacturing and distributor specialising in Solvents, Chemicals, Hydrocarbon and Aromatic products servicing various industries such as Petrochemical, Adhesive, Resin, Coating and Tyres. Leanne Wilkins, Group General Manager for ASCC, said, “The acquisition of shares in Global Chemie Trading Company in Thailand, is another step in expanding our manufacturing and distribution coverage throughout Asia-Pacific. With the opening of our Singapore branch in late 2016 this continues to enhance our presence throughout Asia-Pacific and compliments our existing portfolio of products and presence in the market place. There is a strong cultural alignment between our companies and strengthens our product knowledge, technical expertise and customer focus commitment to provide “Solutions for your needs”. Ms Wilkins also confirmed that all existing GCT staff and Directors Khun Sutinun and Khun Chaiyut will be retained through the acquisition. The ASCC Group of companies looks forward to working with Global Chemie Trading company, it’s customers and supplier in the very near future. Immediately following the acquisition, the business entity of Global Chemie Trading Company will be renamed as Global Chemie ASCC Limited.